Winston Medical Center's Nursing Home. 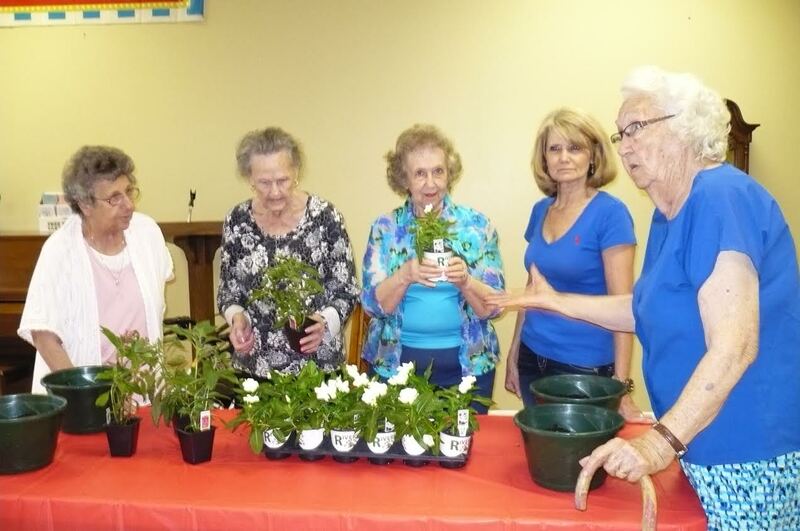 They meet monthly to talk about gardening topics. This month they planted pots of flowers for a new outdoor area. Nichols, and Patsy Quinnelly shown with Winston Garden Club members Dinah Smith and Carolyn Mills. Summer Means "Be Watching for Snakes"